My husband and I bought our first home in November 2014. We moved in the day after Thanksgiving. Becoming homeowners was a longtime dream of ours. My husband and I are both outgoing people, and we love to entertain. The idea of hosting family and friends became a very real possibility when we finally purchased our home. We also love working on house projects and making our home beautiful. We take pride of ownership very seriously. So it’s an absolute shame that just a year and a half later, we’re already looking into the future and deciding whether we’re going to sell next summer, or the year after…. We made a bunch of first-time homebuyer mistakes. Luckily, we have quickly learned from our mistakes and know what we’ll do different next time. The number one mistake we made was failing to think about how we could grow into our home. Initially, we knew this would be a starter home for us, since it was only a two-bedroom. However, we very much thought that we would be able to expand the home and build an addition. How woefully ignorant we were. Every home project we have done has gone wildly off budget due to the age of our home and constantly running into unexpected budget increases. Instead of the five years we thought we’d be able to live here, we’re now well aware that we’ll have to move a lot sooner than we thought. When you buy a house, you really have to think long-term. Will a two-story house work for an elderly couple? Will a two-bedroom house work for a family of five? In order to jump into the housing market before we were priced out, we had a 10% down payment. Truthfully, if we had stayed in our rental another year to year and a half, we could have saved 20% down. However, we would also have been priced out of the market. As it stands, we purchased the cheapest house in our neighborhood, but due to living in a very high cost of living area, our mortgage is a ridiculous amount. Luckily, with the equity we’ve earned in our house over the past year and a half, and a combination of saving, I am confident we’ll be able to avoid PMI and put down 20% next time. I absolutely hated our realtor, but we were too far into the home buying process to switch. I think we could have gotten a much better deal and I would have pushed back harder. We chose a really stressful time in our lives to buy a house, but I think no matter when, buying a house is stressful. We were so in love with the house as a whole that we failed to look at all the little projects that quickly added up, such as buying new windows, repairing electrical work, and re-doing flooring in some areas. Don’t fall head over heels for a home without crunching the numbers to see if the repairs you’ll have to make are worth it. As much as I would like to separate emotion from home buying and selling, the truth is that it is a very emotional business transaction. I will do my best to separate emotion from purchasing our next home, but I can’t guarantee anything. 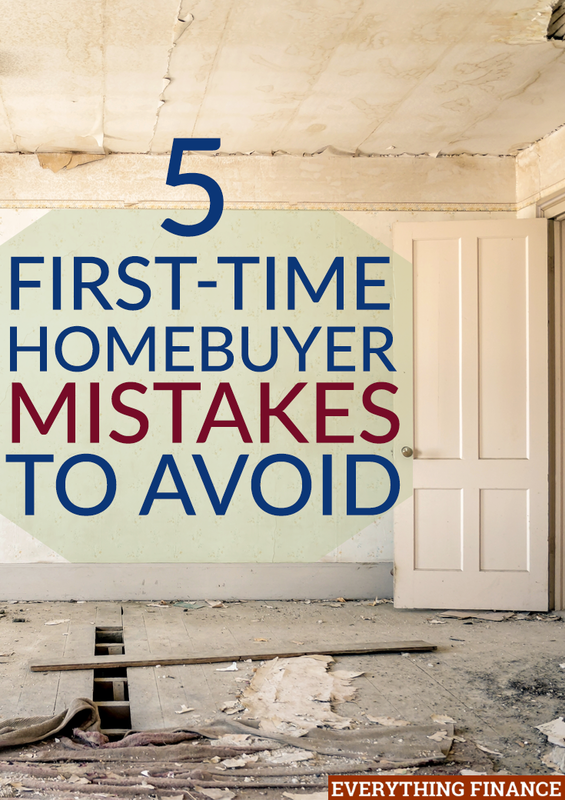 What are some major first-time homebuyer mistakes you made? Is there anything you’d do differently about purchasing your last home?